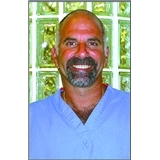 David H. Solomon, DDS (Oceanside) - Book Appointment Online! Dr. David Solomon totally empathizes. There was a time when fear kept him from going to the dentist for years. Dr. Solomon is committed to creating a comfortable, painless environment for his patients. We take great pride in welcoming you to our office where we cater to and understand cowards. Our practice offers the highest quality dental care and service with compassion and friendliness. We are a full service general practice, performing cosmetic dentistry, root canals, crowns, bridges as well as start-to-finish implants. We believe our patients should have as much information as possible in order to make important, informed decisions regarding their oral health and treatment options. Our patients are our most important asset and we strive to develop long-lasting, trusting relationships with all of our patients.